Many women are very in tune with their bodies. Which is a very good thing! They notice even the smallest changes, feelings or symptoms that aren’t quite the regular. 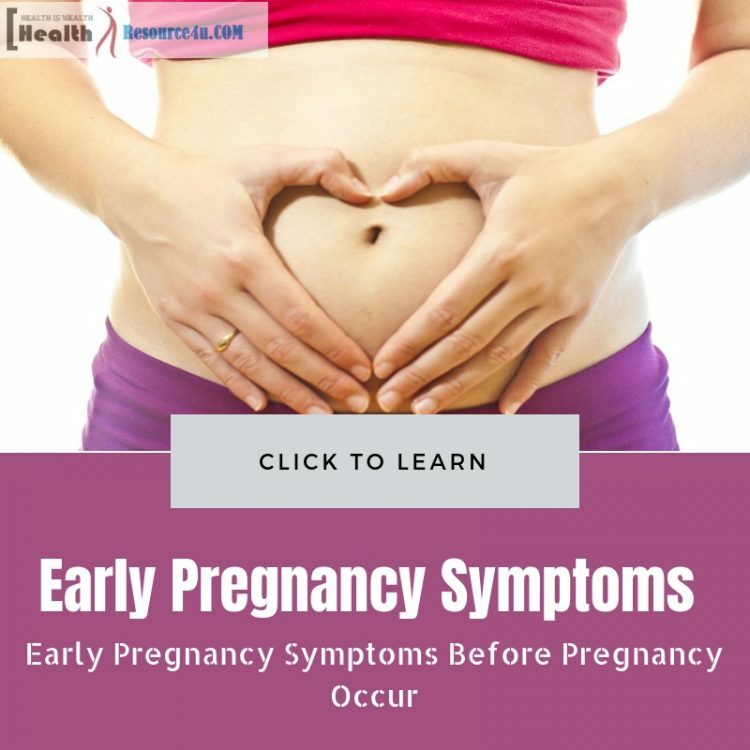 Often, especially if you’re looking to become pregnant these symptoms may excite you. You quickly go online and research them. Hopefully you found this article as I’m going to explain all the symptoms of pregnancy before pregnancy occurs. Many women will notice spotting and bleeding and instantly believe that they are about to have their period. Many women are surprised when they later find out they are pregnant. This is implantation spotting. Implantation spotting happens 6-12 days after ovulation and fertilization within 1-2 days after arrival of the blastocyst in the uterus, it is a couple drips of light or dark coloured blood. Like your period but different in heaviness and colour, very easily confused. This is from the egg attaching itself to the uterine wall. This is a very classic sign of pregnancy, one that happens to most women and one easily noticed. During the early stages of pregnancy your hormones are elevated. Hormones cause increased blood flow to the breasts. This may cause stinging, itchiness, and increased fullness and this may appear much before your missed period even. A major sign is also darkening of the Areola. This is your body’s way of preparing for breastfeeding your new soon to be infant. All of these breast changes are temporary and you will be happy to hear that your breasts will turn back to normal after pregnancy. Suddenly you’re constantly running to the bathroom. You’re out getting a coffee and you have to pee, you can’t hold it and have to run straight to the dingy washroom in the back. This has been happening to you multiple times this week. Did you know this could be a sign of pregnancy? Once the embryo has planted itself in your uterine wall, the hormone human chorionic gonadotropin (hCG) is produced. You may have heard of this in the past, either in fluid or pills used as a supplement to diet. This hormone is well known to increase urination. Your increased urination may be a sign to an increase in hCG ! Suddenly your morning tea or coffee tastes gross, your half burnt toast you made is even less appealing than normal. Your husband or boyfriend wants you to go for dinner at your favourite restaurant and you turn in down to eat some pickles that have been in your fridge for 6 months. Suddenly you realize what’s happening. You may even have a metallic taste in your mouth that many pregnant women notice. Many women even have a change in smell (which is connected to your taste). The medical term for this change in taste is Dysgeusia. Estrogen levels when pregnant fluctuate wildly. Estrogen is a known hormone that controls our sense of taste! Your cravings for different foods may be the few that break through your metallic taste. Ones (especially citrus or sour) may be your body’s way of telling you to get rid of these tastes as they cause an increase in saliva. Everyone has heard of morning sickness. Sadly in your beginning stages of pregnancy you may experience morning sickness like symptoms morning, noon or night! Due to your estrogen fluctuations. This is a brief look into the future. Do not worry as morning sickness is a good sign that your pregnancy is progressing well. Make sure to rest and take naps. Take it easy on yourself and sit down, read a book till these symptoms pass. Try to avoid sugary or sweet foods that may trigger a rise in blood sugar, these may make you feel temporarily better but once your levels drop back down even lower you may feel worse than before. Try bringing crackers or a small snack with you to calm your stomach, avoid fizzy drinks and replace them with water or milk. Avoid being in busy malls or stressful situations that may make your sickness worse. Your husband or boyfriend may be complaining that you have been cranking lately. Suddenly everyone is getting on your nerves. You may think that this is the beginning of Premenstrual syndrome, but it may be a sign that you’re pregnant ! The large influx of hormones going on within your body in these early stages may cause huge mood changes. Hormones and moods play a huge role with each other, don’t be surprised if you are affected. Back aches a common sign of menstruation, or from helping your friend move earlier in the week! Back aches are a very ambiguous symptom of early pregnancy. Often blamed upon or confused with other things currently going on within your life. Your aching back may be a sign that you are pregnant. Your growing breasts and fetus may lead to excess strain on your spine and lower back. Your stressed mood from the hormonal changes you are experiencing may cause you to tense. Your ligaments loosening in preparation for the baby may also cause misalignment of your back. Many women experience back aches sometime in their pregnancy, sometimes at the very early stages of pregnancy! The changes in your blood volume, circulation or pressure that come with the other early symptoms of pregnancy cause a need for a greater amount of fluids. Without these fluids you quickly may lead into dehydration causing you a headache. To counteract this make sure to keep your fluid intake up, drink sports drinks with electrolytes. Make sure you have a well-balanced diet, with adequate protein intake and a sufficient amount of iron. Try to rest and make sure you have enough sleep. This is the most tell-tale sign that you may be pregnant and an alert to all women. Light bleeding may still happen when pregnant or implantation spotting may occur. If your period seems different than normal or you missed it all together this is the most obvious sign of pregnancy. 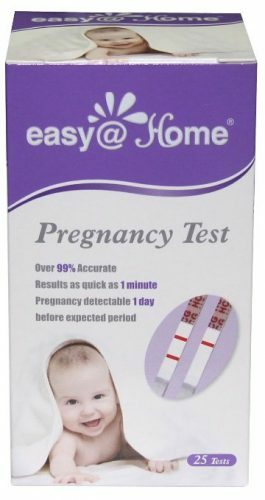 If this has happened to you run to your local drug store and buy a pregnancy test! If it is positive make an appointment and inform your doctor, so they may help you prepare for your new baby. Congratulations!